If someone were to ask me to list my top 20 favorite foods, poppy seed muffins would surely be on the list....even somewhere near the top. They are sweet, slightly tangy and oh so lemony. While many think they are a spring and summer muffin, I make them all year round. Especially in winter, because once you bite into these muffins, you'll be transported to warm weather and sunny days! Preheat to 400 degrees. 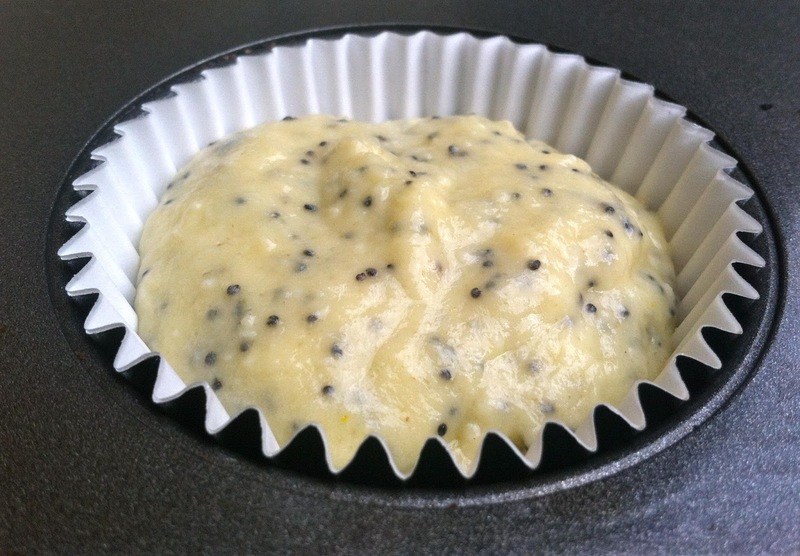 Butter or spray a regular-sized muffin pan with non-stick cooking spray. Fill the pan with paper liners, if you would like. I prefer to put the batter straight into the pan. Place pan onto a baking sheet. In a large bowl, rub the sugar and lemon zest together with your fingertips until the sugar is moist and the fragrance of lemon is strong. Whisk in the flour, baking powder, baking soda and salt. In a large glass measuring cup or another bowl, whisk the sour cream, eggs, vanilla, lemon juice and melted butter together until well blended. Pour the liquid ingredients over the dry ingredients and, with a whisk or rubber spatula, gently but quickly stir to blend. Don't worry about being thorough, a few lumps are better than over mixing the batter. Stir in the poppy seeds. Divide batter among the muffin cups so that each is about 3/4 full. Cups should be almost, if not totally, full. Bake for 18 to 20 minutes, or until the tops are golden and a thin knife inserted into the center of the muffins comes out clean. After muffins are done baking, transfer the pan to a cooling rack and let sit for 5 minutes before carefully removing each muffin from its mold. If not using paper liners, run a knife around the outside of the muffins to separate from the pan and tilt the pan slightly to allow muffins to slide out. Cool muffins completely before drizzling with a small amount of glaze.